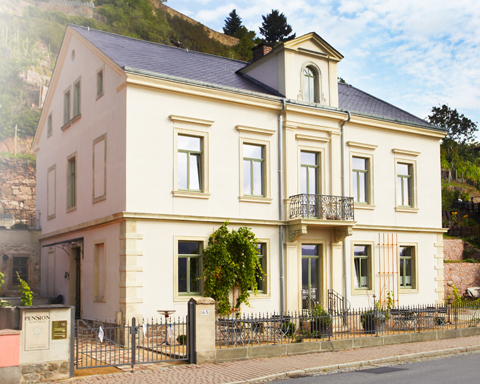 A Warm Welcome to the city of wines and porcelain – Meissen. You are looking for an individual, sophisticated and lovingly maintained domicile / roost for your visit to the hoary Residence of Meissen and your explorations into the Saxon Elbe Valley? Then you are cordially invited to take a look at our Art Nouveau Villa located on the river Elbe. With great attention to detail and according to original documents we have created a jewel at the foot of our own vineyard and we would love to share its extraordinary atmosphere with you.